a) Please send us an email or fax with a list of the items you wish to order. Please include your name, invoicing/delivery address(es) , phone, VAT number if applicable. b) We will then send you a proforma invoice (Devis) confirming prices and delay. c) We will process your order after receiving your approval of the proforma. 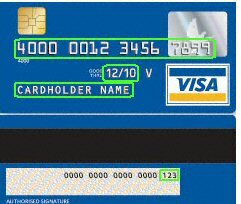 d) Payments by bank transfer or credit card (Visa; Mastercard). Paypal possible at additional cost. For CC payment, please indicate Card details on approved proforma (Devis), and return it by fax or mail. DO NOT SEND CC informations by email. If you paid with a bank transfer, please let us know. e) Your order will be shipped after receipt of your payment. You will receive shipping/tracking details by email. All pricing are ex-works our office in St Martin d'Uriage. You can evaluate shipment cost using 38410 shipper's zip code on UPS web site. By default insurance cost is 1% of declared value. We accept Visa or MasterCard payments. Please contact us. We accept PAYPAL payments. There will be a surcharge of 3.4%. Please contact us. Click here to obtain our General Terms and Sales Conditions (PDF). Cliquer ici pour obtenir nos conditions Générales de Vente (PDF). Please take note that it is MGL Avionics' policy to refuse supply of any of our products, including OEM parts such as AHRS systems to any military application, including those restricted to development, research or training. We demand the same restriction from our distributors regardless of which country they operate in. Our products are intended to be used only in civil or sport aviation or may be used in other projects that are not related to any military application. We acknowledge that there are applications which may be classified as "borderline". In these cases we make a case-by-case evaluation as to the nature of the products intended use and whether or not we can accept it.